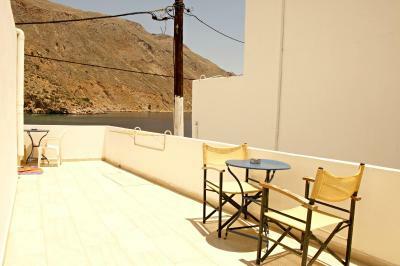 Excellent location with great views over the beautiful village of Loutro. We could do an early check in at around 11.00am which helped us on a partly tai y day. Nice big modern room and large terrace with lovely view. 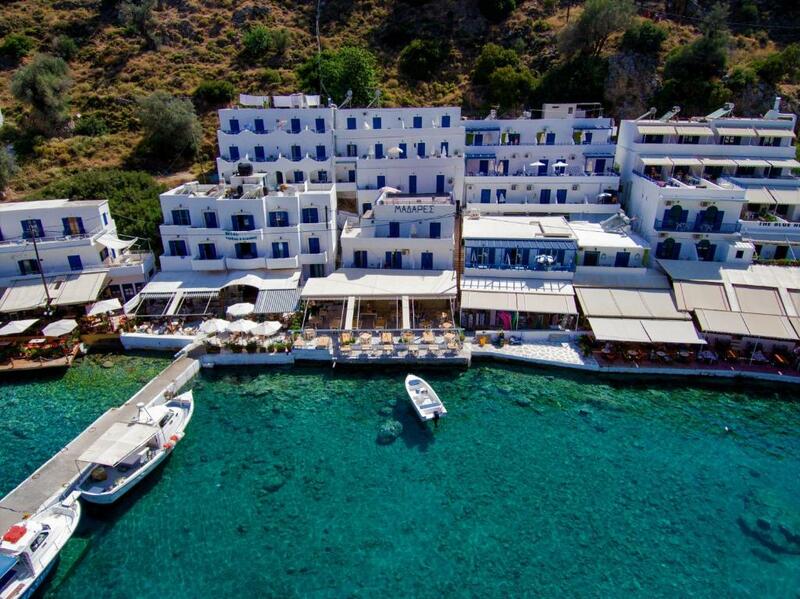 We got stuck there when the ferry was cancelled.bThe proprietor went out of his way to help us leave. 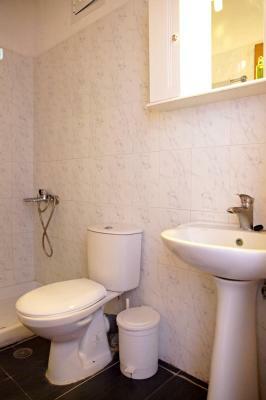 Stunning location, kind and friendly owners, good breakfast and very clean. 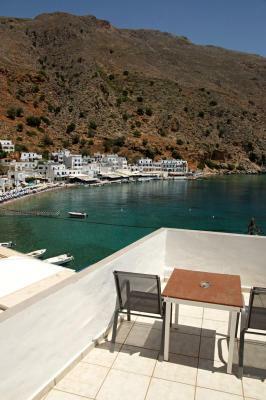 We had a happy two nights but had to leave a day early as the boats to and from Loutro were running erratically because of bad weather. We were worried we wouldn't make it back to Heraklion for our flight if we stayed the last night, and left on the only boat guaranteed to run that day. One of the most beautiful places I've seen. 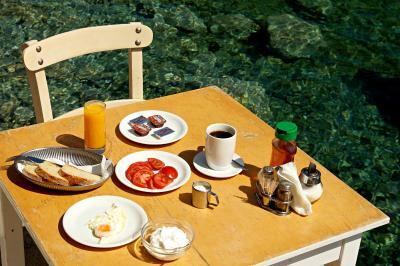 Very good location, excellent breakfast, efficient and friendly staff. Very good location. 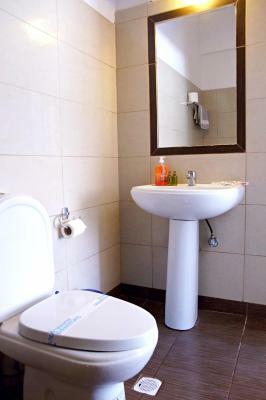 There were all the toiletries you need in the bathroom: tooth brushes, toothpaste, soap, shampoo etc. working A/C. A big balcony with a place to dry clothes/towels/etc. 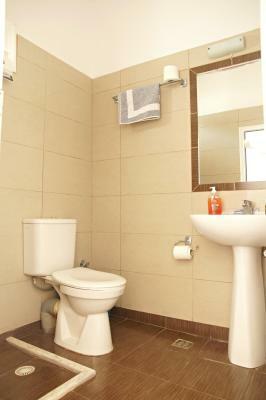 It was clean and supplied with the essentials, and also in a good place. 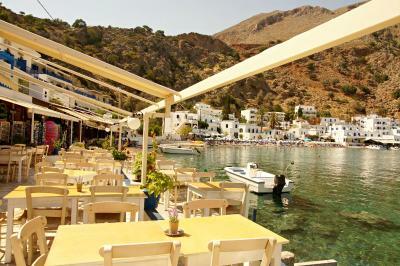 One of our top picks in Loutro.Just 20 feet from the nearest beach, Madares is centrally in the seaside Loutro village. 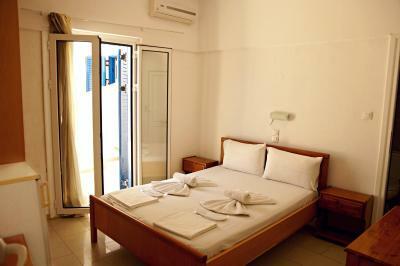 It offers units with a private balcony, most overlooking the Libyan Sea, and a restaurant. Free Wi-Fi is available in public areas. 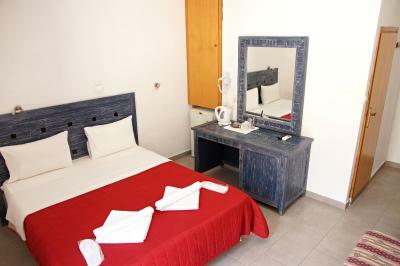 Hotel Madares rooms and apartments are air conditioned and simply furnished. 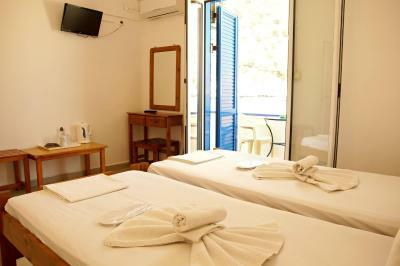 They are equipped with a TV, mini fridge and a private bathroom with shower. 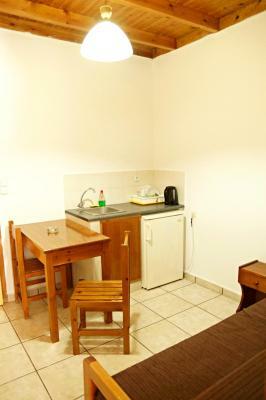 Some units also feature a kitchenette. 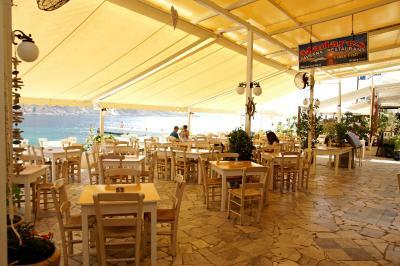 The on-site restaurant prepares traditional Cretan dishes and fresh fish. 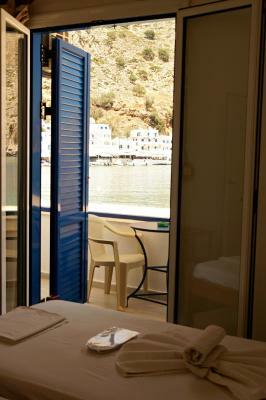 Guests can enjoy their meals in the outdoor dining area by the sea. 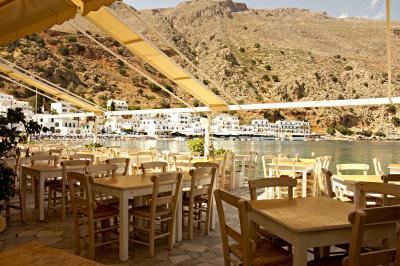 The village of Loutro connects by ferry with the villages of Sfakia, Sougia and Paleochora. 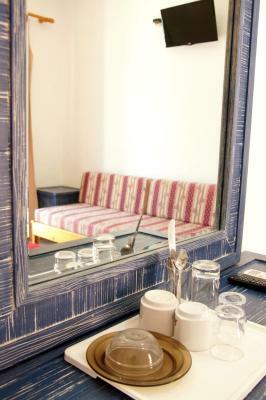 When would you like to stay at Madares? 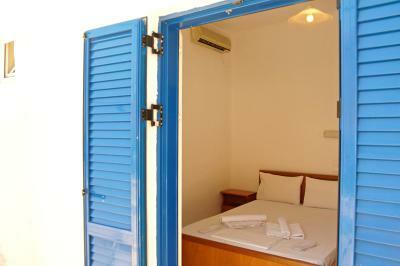 Air-conditioned room with a TV, mini fridge and private balcony. 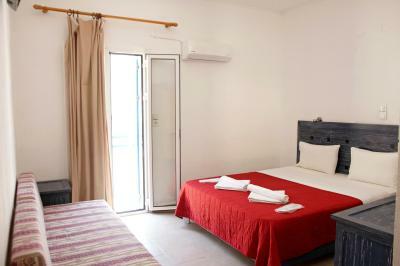 Air-conditioned room with a TV, mini fridge and private balcony offering views of the Libyan Sea. 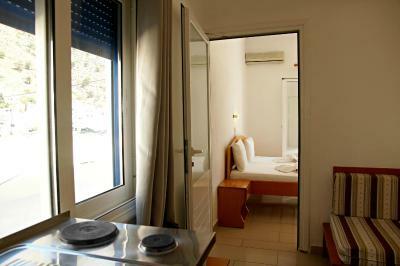 Spacious air-conditioned apartment with a TV, kitchenette and private sea-view balcony. 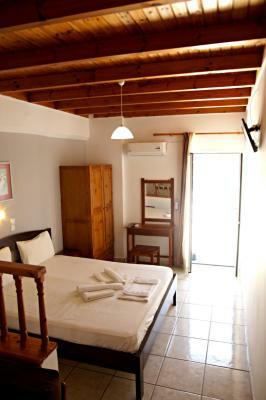 This triple room has a balcony, tile/marble floor and sofa. House Rules Madares takes special requests – add in the next step! Madares accepts these cards and reserves the right to temporarily hold an amount prior to arrival. 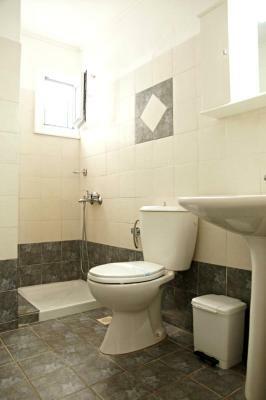 Bathroom in need of up to date renovation. Not acceptable given the price and this day and age. Three rooms shared one large balcony. Room wasn't ready on arrival. Tried to charge us again on departure when already paid. 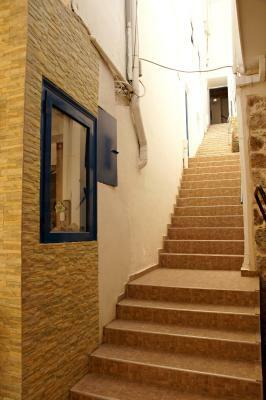 Air con not working & noisy at night from music downstairs. There was a hole in our bathroom, from the other side (in the hall) the hole was covered with a painting :/. There is no shower curtain. We had some problems with closing the door leading to the balcony. 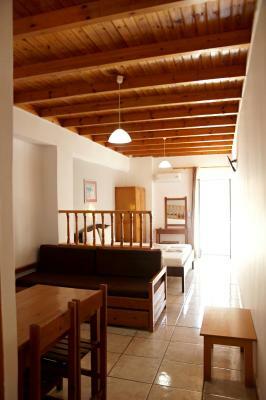 The balcony is shared with a few more rooms. 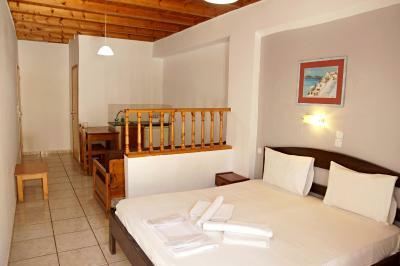 Spacious room with a big balcony facing the sea. 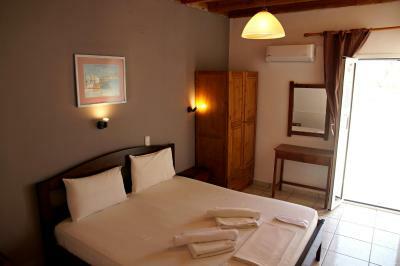 Comfortable bed and air conditioning. Our room was on 4th floor, which is a long way with kids and luggage without a lift. 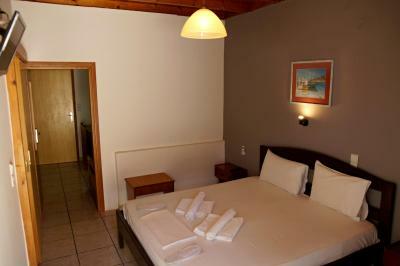 The accommodation is typically Greek and basic. Could do with a bit of modernisation. Also quite noisy from other rooms and corridors. Location is excellent. 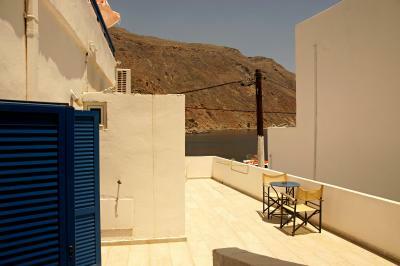 Great and large terrace looking over the bay of Loutro. Fantastic air conditioning.